This easy-to-use humidifier saves energy and money. 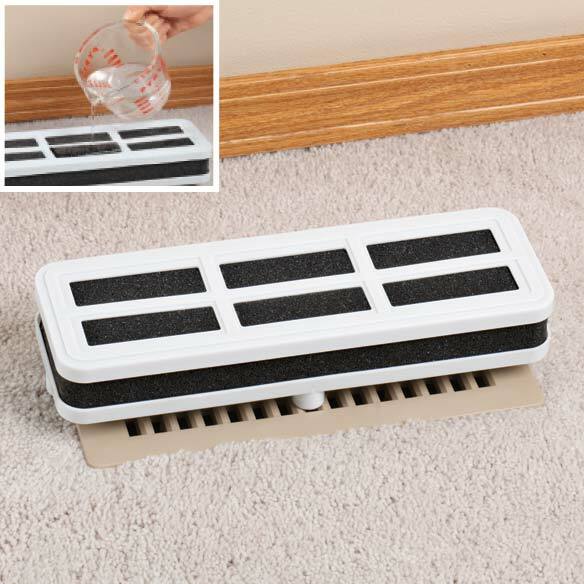 Just add water to the dense foam core and place atop your floor vent; heated air evaporates water to humidify a room. Plastic frame is 12" x 4" x 1 1/2". Was trying to find out if this can be used when your heating system is on the ceiling, could not find anything that answered that.